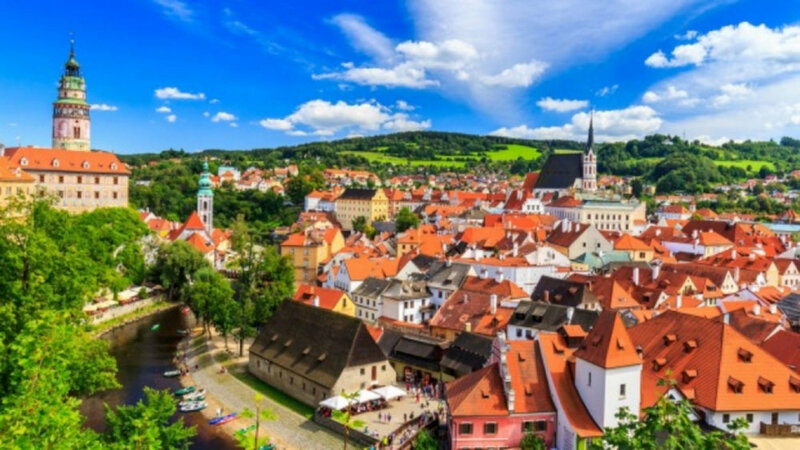 Explore the staggeringly beautiful city of Prague & the ancient villages of Bohemia in high style with the navigation of Burns & Madsen’s expert team. Explore Prague, the City of a Thousand Spires! 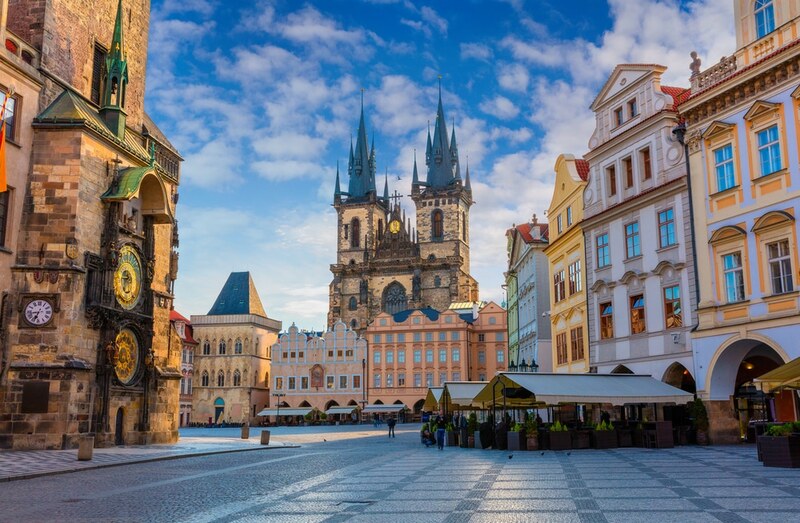 Imagine yourself wandering winding cobblestone streets while admiring over a thousand years of original architecture, then crossing the famous 14th-century Charles Bridge for a guided tour of the world’s largest ancient castle. This and so much more awaits you in the magical city of Prague! From exquisite palaces to quirky beer gardens, from a complex history of oppression to a proud tradition of revolution, from medieval legacies to post-modern jests — Prague’s many personalities and layers are sure to fascinate and inspire. Widely celebrated as one of the most beautiful cities in the world, Prague is an experience not to be missed! Step back in time in this 13th-century village full of old-world charm. Lining the Vltava River and preserved as a UNESCO World Heritage site, you’ll fall in love with Cesky Krumlov’s extraordinary castle, winding streets, adorable shops, cozy pubs, and joyful spirit. After silver was discovered in Kutna Hora in the early 1200s, the village became a favorite to centuries of Czech kings and still bears the splendid beauty of its medieval riches. Another UNESCO World Heritage site, quiet and classy Kutna Hora boasts the Gothic masterpiece Church of St. Barbara, charming narrow streets, traditional Bohemian beer gardens, and a breathtaking landscape. Jason Burns & Sean Madsen have been globetrotting together for the last 19 years. Their names have become synonymous with exceptional service, fine taste & bespoke experiences as the co-owners of Aspen’s most acclaimed event production company, Burns & Madsen. Their carefully crafted events have been featured countless times on television & in the press. Endlessly curious about the world around them, they are thrilled at this opportunity to pair their expertise in impeccable service & hospitality with Shelley Read’s decades-long knowledge of Prague & her experience leading numerous tours of this spectacular region. Prior to their foray into the world of event planning, Jason worked for many years in some of the country’s most prestigious hotels while Sean specialized in sales for several of the world’s finest couturiers, including Gucci, Dolce & Gabbana, & Moncler. Shelley Read launched into her first international adventure fresh out of college, with little but a backpack & a passion for discovery. She returned home nearly a year later with a new knowledge of the world & a promise: travel would always be an integral part of her life. Shelley has kept that promise for the past thirty years, traveling extensively in 23 countries & igniting a love of travel in others whenever she can. A writer & recently retired university professor, Shelley’s rich career is highlighted by studying abroad & leading international trips for her students. Shelley is a deep believer in immersive travel that elevates cultural understanding, human connection, curiosity, & joy. Shelley’s vast knowledge of literature, history, art, & culture combines with her kind nature & travel expertise to deeply enhance every Burns & Madsen adventure.